Say you have a head. And a pair of ears. Which you really do have, unless you’re a headless alien or VanGogh or something. In that case, I’m sorry and you probably won’t want to read this blog because it’s all about head wear and it might make you feel left out. Working outside day in and day out exposes you to all the elements. The scorching summer heat, only to be replaced by a bitter cold. So whether you’re laying bricks in the snow or pouring concrete under a blazing sun, you’re going to want to keep your most important asset covered–no, not that! I’m talking about your head! 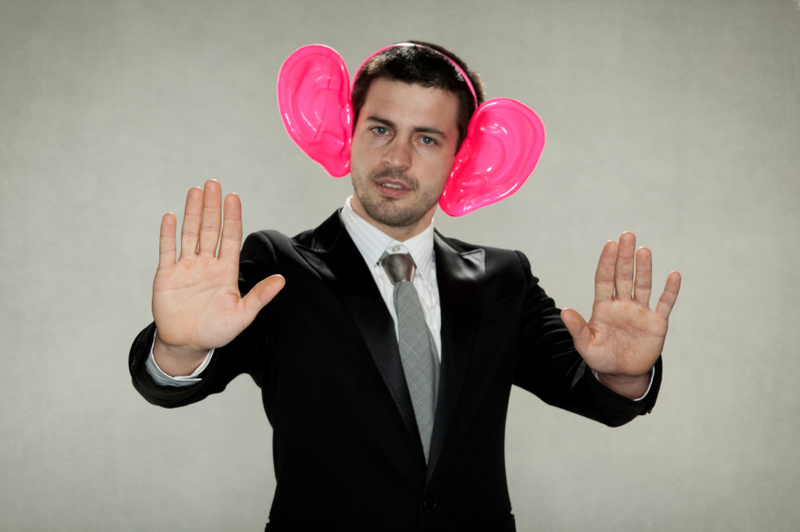 We can even cover this guy’s ears! Ears. They might get waxy and gross sometimes, but they give you all sorts of information, so you should probably forgive them. Remember when they saved your life by hearing that oncoming truck when you were looking the other way? Since you can’t really give your ears a pat on the back (because ears don’t have backs), give them the next best thing: a cozy place to rest when the cold winds blow. 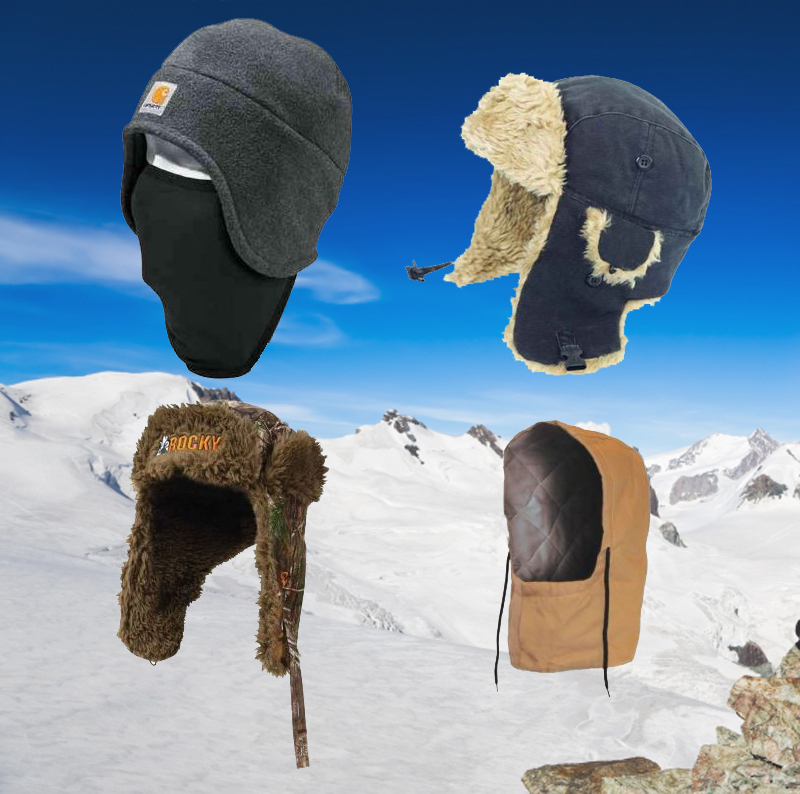 Keep those listeners snug as an ear in a hat with the Carhartt Fleece 2-in-1 Headwear, the Tough Duck Aviator Hat, the Rocky Arktos Waterproof Bomber Hat in Real Tree Xtra, or the Berne Apparel Flame Resistant Quilt Lined Snap-On Hood (bonus: it’s flame resistant!). Don’t let your eggs get scrambled! Before you head out the door for work in the morning, you do a mental checklist. Hi-vis vest: Check. Flame resistant gear: Check. Knee pads: Check and check. 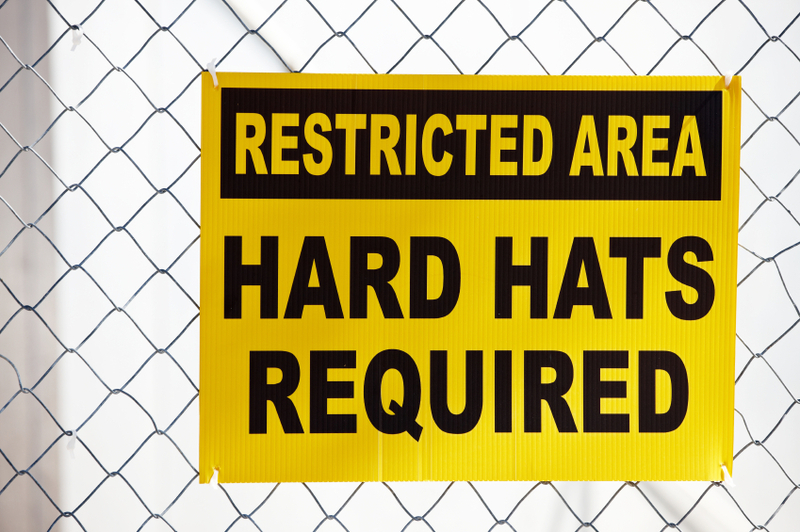 Hard hat:…Now where did you leave that thing? Don’t put your brains in danger, get some safety gear for that precious noggin of yours! Working in the rain? The Viking Journeyman Safety Hood is waterproof, wind proof, resistant to punctures, rips, and tears, and has 2 inch reflective stripes for the complete safety package. The Occunomix Hard Hat Cowboy Style will keep you protected from falling anything (even cartoon anvils) in true western fashion. Have a hard hat and a sunburned neck? 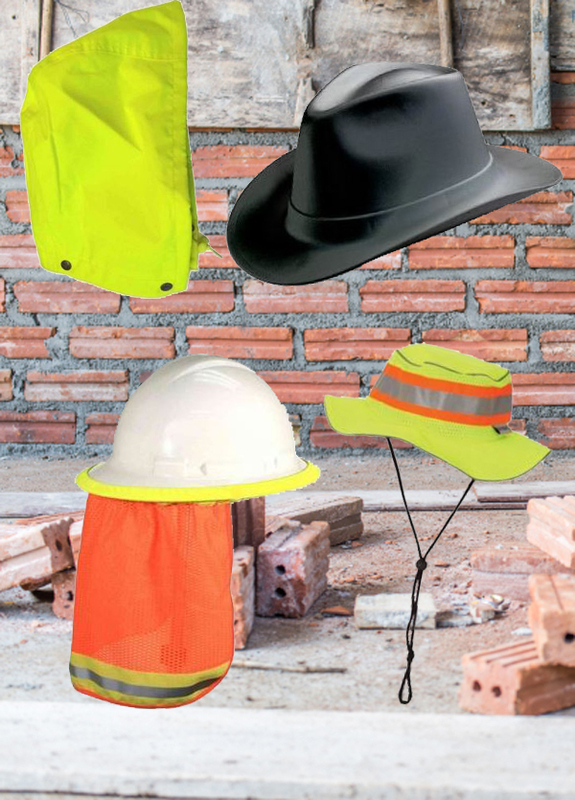 The Radians Hi Vis Flame Resistant Neck Shade will keep it safe! Directing traffic in the rain? The Berne Apparel High Visibility Bucket Hat will make sure nothing will come flying at your head (accidentally, at least) and keep it dry! No matter what you do, we have a hat for you! 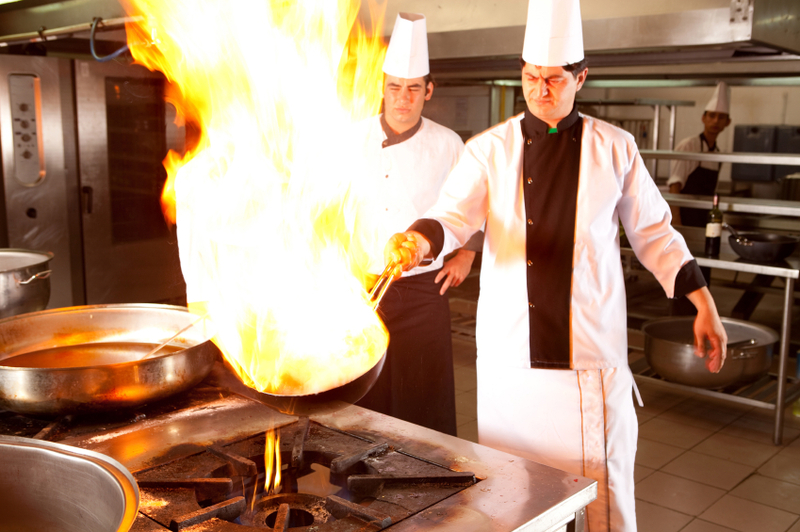 Chefs have that awesome-looking chef cap and nurses and doctors wear scrub caps to keep their hair out of the way when they’re saving lives. Others might wear a baseball cap because they play baseball, or because it just looks cool. 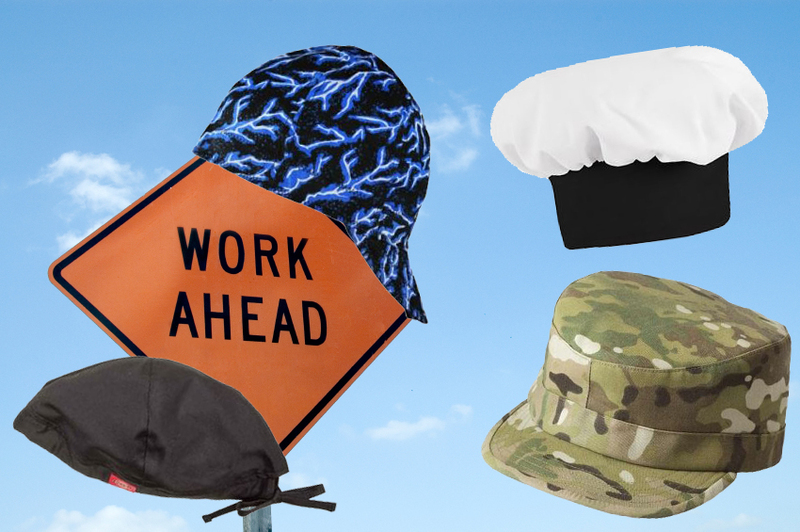 Whatever your job, top off your head with something that will keep you safe and in uniform! You won’t flame broil your brains with metal splashes, flames, sparks, and ultraviolet radiation with the ZANheadgear Welder’s Cap. Cook up something new with the Chef Designs Chef Hat. The Dickies Medical Scrub Cap will save your hair while you’re saving lives. If you’re out protecting the rest of us from evil-doers, you’re going to need a hat. The PROPPER BDU Patrol Cap is like the army’s version of a super hero cape. Put a Beanie on it! A colorful Carhartt beanie for every mood! Fact: Beanies are the new black. All the cool kids are wearing them and, by laws of peer pressure, so should you. Okay, so maybe that’s not exactly true, but beanies are still pretty awesome. They keep your head nice and toasty, are stylish, and come in a variety of styles and color to suit your every mood. Like mood rings for your head. Got a serious case of beard envy? 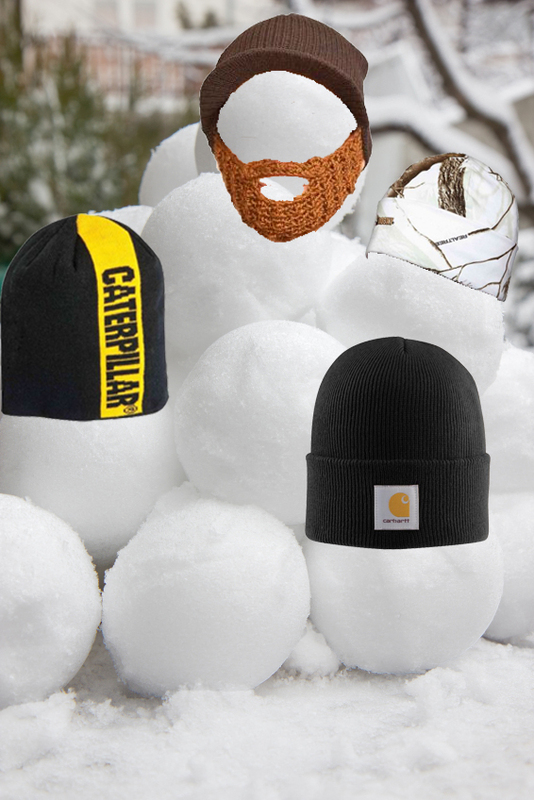 The Jeep Cap Beard Beanie will help you grow your own in a flash! Get lost in the snow with the camoflage Rocky ProHunter Waterproof Cuff Hat! Show some Caterpillar love with the CAT Apparel Power Stripe Knit Cap. Of course, we can’t talk about beanies without mentioning the classic Carhartt Acrylic Watch Hat!